Readers Jenny & Bob have lived in their 60 year old home for 13 years. Since the day they moved in, the duo has been lovingly decorating and remodeling, giving the house long overdue TLC. The final room left on their to do list was their tiny vintage kitchen, which had both benefited and suffered from a 1991 partial makeover. 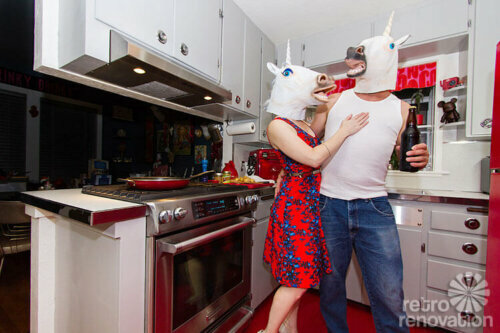 Since the couple’s budget didn’t allow for a complete gut remodel, the two decided to fix the biggest unicorns — err — elephants in the room: the missing cabinet doors, dingy counter tops and lack of natural light. 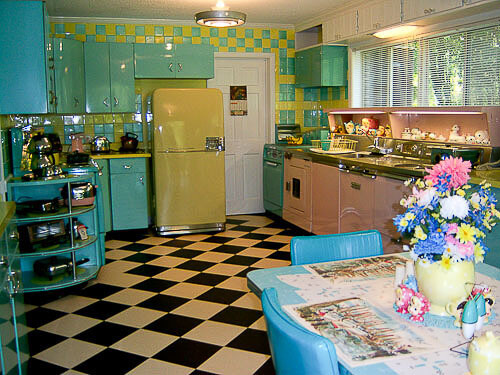 With a lot of hard work and some help from the resources available on Retro Renovation, it wasn’t long before life in Jenny and Bob’s kitchen was coming up rainbows. 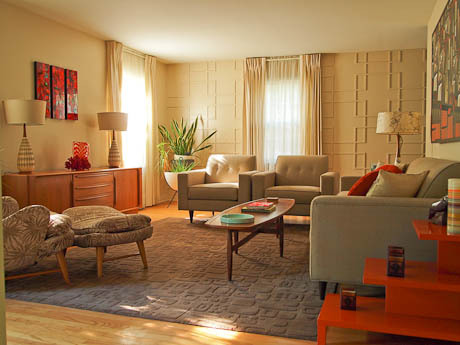 I discovered Retro Renovation a few years ago and truly it was the best thing to happen to our house. I have learned so much from Pam and the community and it really helped educate me and focus my intentions with this renovation. A million thanks! Our little house turned 60 last year. We have enjoyed living in it for 13 of those years and in that time have touched nearly every surface of the house inside and out. It was finally time to bring the kitchen (previously renovated in 1991) back to its roots. The previous owners had done some good things (open up the wall between the kitchen and dining room) and some not so good things (removed upper cabinet doors, and painted over wallpaper, outlets, hinges, and handles) to the the kitchen. Our goal was to help the kitchen better express its heritage and blend in a few shiny metallic modern updates too (apologies to the purists, I could not resist a new gas range with all the bells and whistles). A total gut remodel was out of the question given our modest budget. Instead we focused on what we really bothered us most about the kitchen. Surprisingly, it was not our lack of a dishwasher. 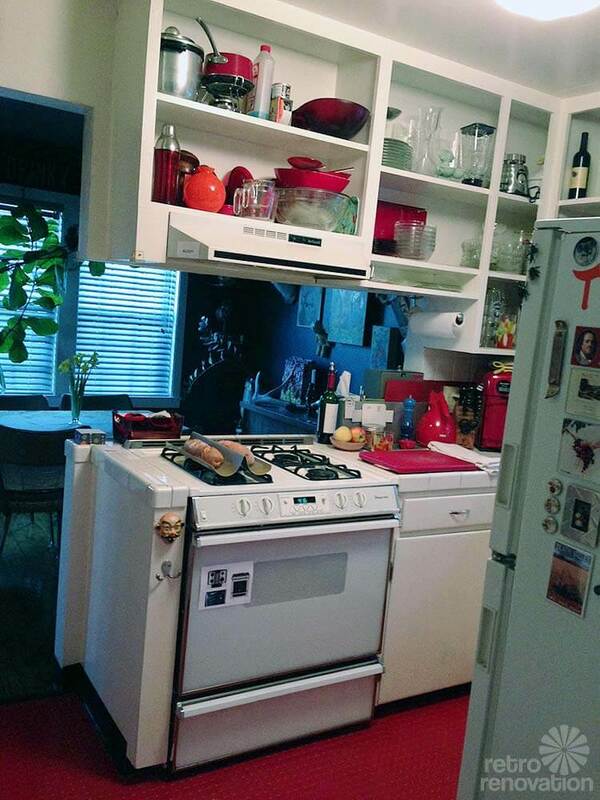 Mainly it was the missing upper cabinet doors, the cracked/dirty white tile counter tops, the tired gas range, and an overall lack of light. 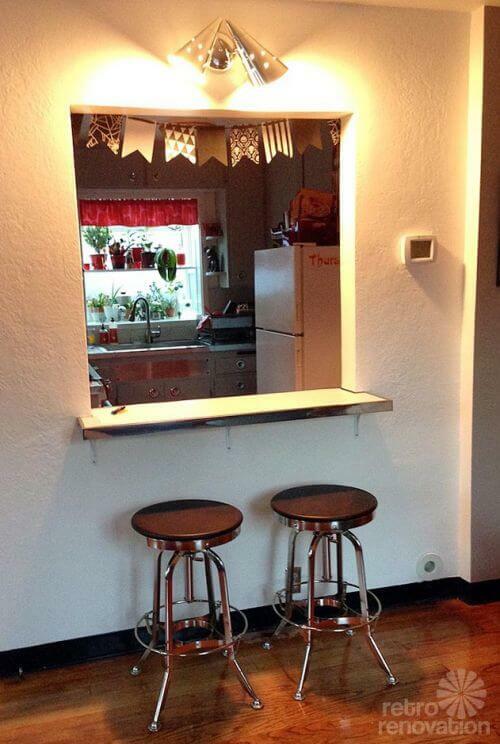 We embarked upon a total do-it-yourself kitchen restoration project. My husband, Bob, was game to try anything. Plus he had some excellent ideas on how to improve the space, like extending a bit more counter top into the dining room. There were some surprises along the way too. Like two spots for slide-in cutting boards hiding under the old tile border. Bonus! We spent more weekends than we want to admit working on this kitchen project, but we are both quite pleased with the results. What I love most about my “new” kitchen is that is a much more open, light-filled, and relaxing space to be in. A simple curtain made of repurposed Alexander Girard placemats in the ‘January’ (1963) pattern. Note: We put the floor in when we got the house. Unsure if it is still commercially available. It is studded rubber tile from Congoleum in ‘Cherry Red’ and has aged well. 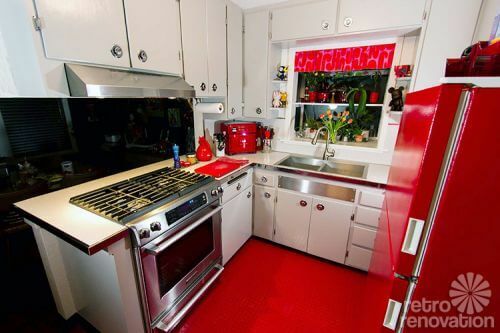 Having an existing red floor presented me with the largest design challenge for the kitchen project. 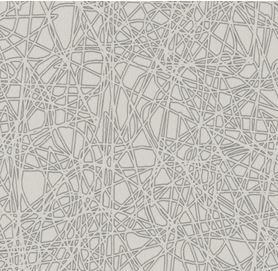 It ruled out a lot of possibilities for laminate and cabinet colors. 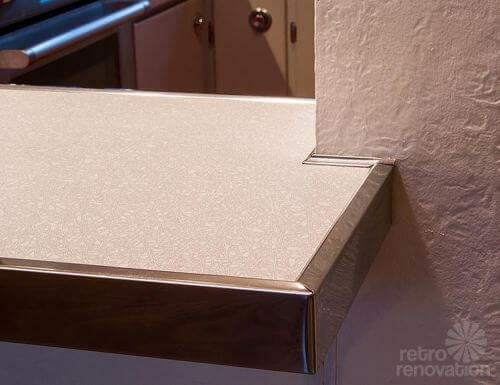 New laminate (Formica) countertops with stainless steel edging (New York Metals) – Bob especially loved Pam’s tutorials. Jenny and Bob — you two did a fantastic job “Loving the house you’re in” and maintaining the original character of your adorable kitchen while also making it more functional and beautiful. Kudos to you for all your hard work. Mega thanks for sharing your story, your awesome “after” photos taken by hobby photographer Bob himself and your unique sense of humor with all of us. i Love that you painted the refrigerator too! 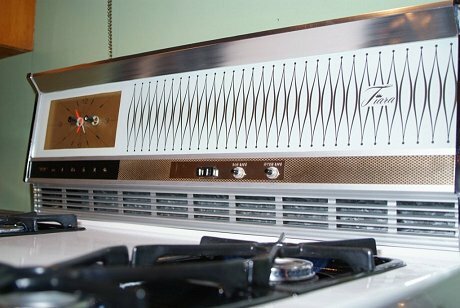 The stainless stove is beautiful. The cabinet doors came great. 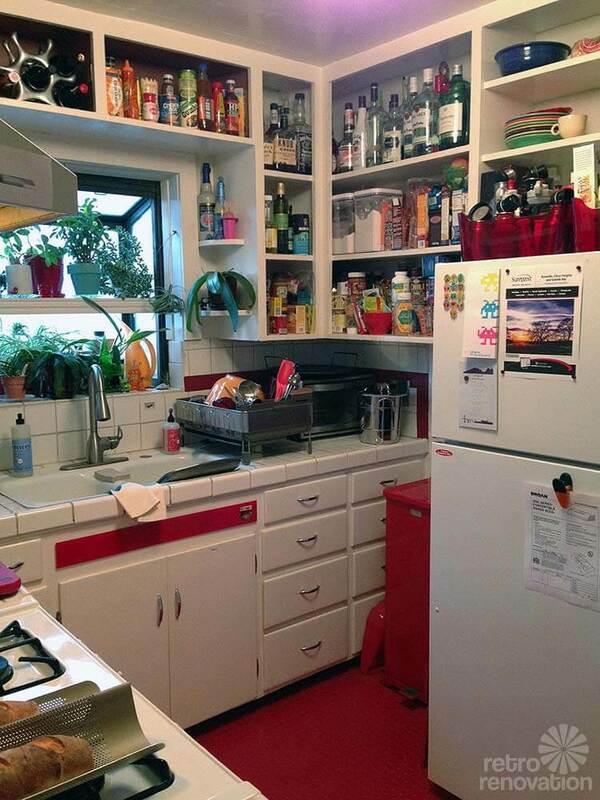 This kitchen looks fantastic. I love the garden window, and the cabinet hardware too. Someone on another post painted a newer refrigerator and added vintage Desoto handles . But didnt post a picture. 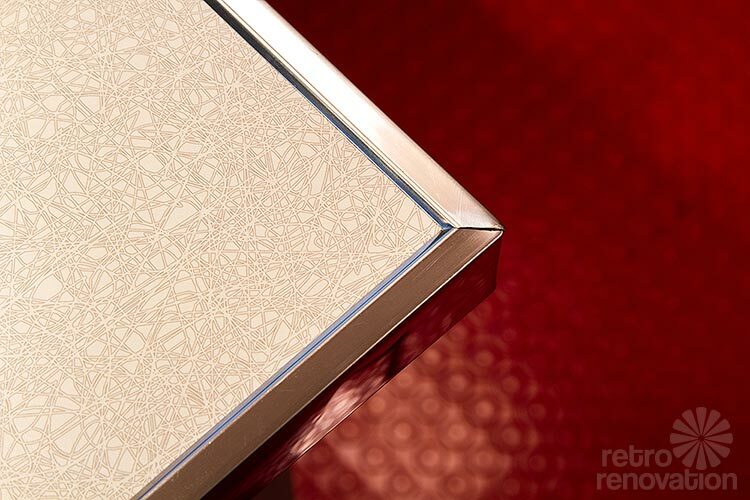 sounds like an old car emblem or something on the fridge would look great in your room too! I really enjoyed your story. 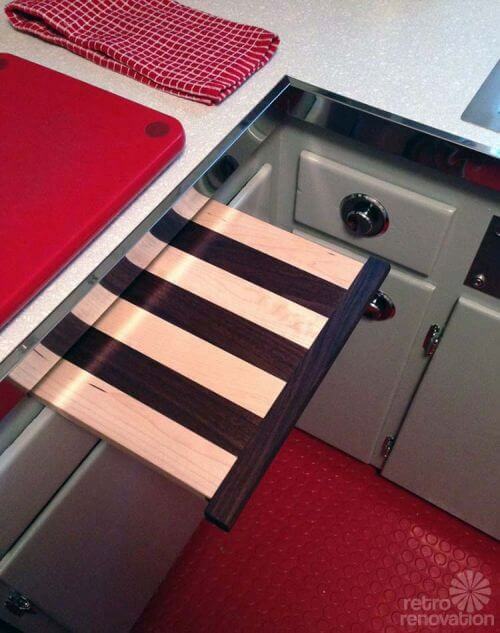 I also wondered , Did you do the countertop edges yourself? I want to do that but it scares me.